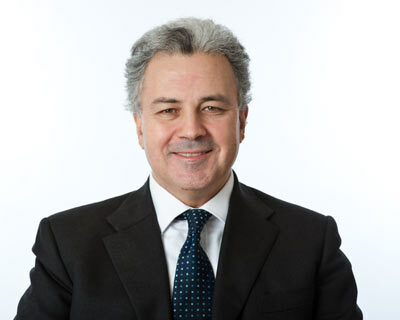 The new Portfolio ESG Monitor integrates sustainability risks more deeply into our investment decisions, says Saker Nusseibeh, CEO of Hermes Fund Managers. View from the top: The Portfolio ESG Monitor, developed by Hermes Quantitative Equities, provides a portfolio view of sustainability risk. Used in conjunction with our ESG Dashboard, which shows company-specific sustainability risks, it further embeds analysis of environmental, social and governance (ESG) risks into investment decisions at Hermes. How it’s used: At Hermes, we strive to consider ESG risk in every investment decision. The monitor quantifies the ESG risk in portfolios in absolute and benchmark-relative terms. It also reduces these exposures into distinct environmental, social and governance risks. Holdings with the greatest ESG risk, and those with the least, are highlighted, and the ESG metrics for every company in the portfolio are also shown. Proprietary data: Proxy voting and engagement activity conducted by Hermes Equity Ownership Services (Hermes EOS) is provided. So is the sustainability specialist’s Controversial Company Report, which flags companies with live and potential ESG risks. This research is amalgamated with commercially-available data from Sustainalytics, Trucost, Bloomberg and FactSet. Definitive score: Combining these best-of-breed ESG metrics enables us to calculate QESG Scores showing how well each company is mitigating sustainability risks. The distribution of these scores across portfolios is displayed and underperformers are spotlighted. ESG at Hermes: Building on the work of Hermes EOS and the ESG Dashboard, the Portfolio ESG Monitor helps to include analysis of sustainability factors into our investment processes. Its findings are discussed in quarterly meetings between equity teams, Hermes EOS and the Hermes Investment Office about how these risks are considered in portfolios. The monitor also adds depth to our ESG discussions with companies and helps to identify potential engagement targets.